In 25 words or less: There’s much to be enjoyed on this EP and importantly it’s great to acknowledge Joe’s mighty fine contribution to keeping the legacy of instrumental rock alive. 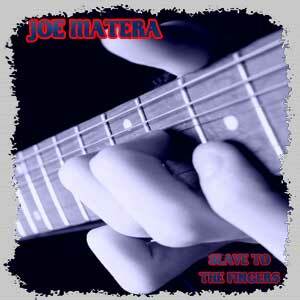 For the majority of rock fans here in Australia, over the last decade or so, you are bound to have heard, read, or seen Joe Matera at some point. Musically, Joe has featured as lead guitarist with Aussie rockers Geisha during their re-emergence during 2007 to 2010 and was a founding member of classic rock band Double Vision between 2003 to 2008. As a highly respected music journalist since 1999, Joe has had over 900 articles published in magazines all over the world ranging from Metal Hammer, Classic Rock, Australian Guitar, Total Guitar, Performing Musician, Guitar & Bass…the list goes on! Well that’s all well and good as a reference point, but importantly in the here and now, Joe has recently released an instrumental guitar EP titled Slave To The Fingers featuring five tracks that equally showcase Joe’s abilities as a guitarist and songwriter alike. My own personal music collection over the years includes a reasonably healthy smattering of instrumental guitar albums, with the likes of Joe Satriani’s Surfing With The Alien, Steve Vai’s Passion and Warfare and Tommy Emmanuel’s Determination being the ones that immediately stand out. The reason they stand out, well for me, that’s simple…first and foremost, they are filled with instantly memorable songs and arrangements, with the guitar pyrotechnics more complimenting, rather than dominating proceedings. Stylistically, Slave To The Fingers follows a similar formula and presents to the listener 13 or so minutes of uplifting highly melodic bluesy rock. Back in the heyday of the great TV show Wide World Of Sports, songs like the title track and Out Of Blue are the style of track you would expect to hear playing during a montage of surfing or motor action. Mick McConnell of Smokie fame contributes a tasty guitar solo to the title track, whilst Aussie guitar great Rick Brewster likewise features on Face Off. Lead breaks, solos, punchy rhythmic playing, Joe’s got all the bases covered. At just over 13 minutes the EP is seemingly over in a flash, but that’s the beauty of this EP, it’s just so enjoyable. For anyone with a love of bluesy rock, don’t be put off by the tag of “instrumental album”, there’s much to be enjoyed in this EP and importantly it’s great to acknowledge Joe’s mighty fine contribution to keeping the legacy of instrumental rock alive. 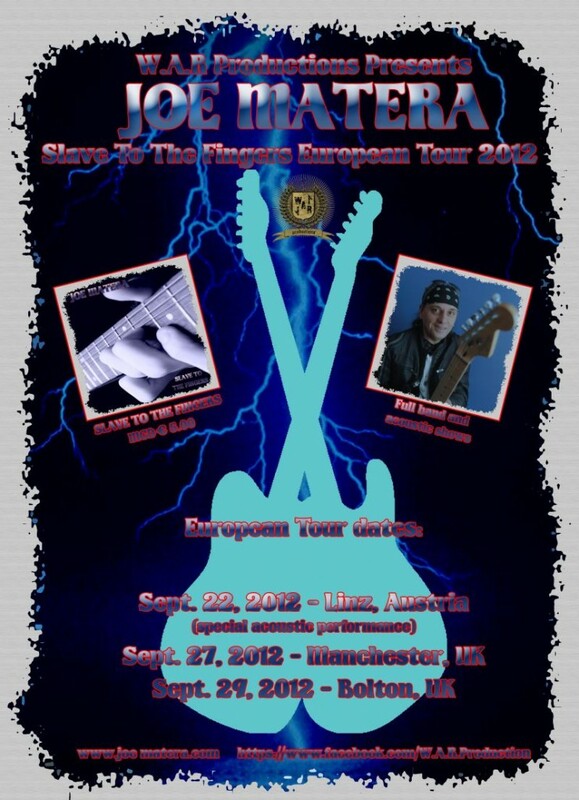 If you are reading this and you live in Europe/U.K, Joe will be making the trek over to play some shows in September, so check out the dates below and make sure you go along and show some support to one of Australia’s finest guitar players!